He was born in Faenza, in Emilia-Romagna. After his peasant parents died, he was placed in an orphanage by an aristocratic family. Every Sunday, he recited his catechism before the countess and if he did well, he received a silver coin. "Generous but humiliating", he recalled. He affiliated with the Italian Republican Party. In 1908, he became editor of a republican paper in Forlì. The socialist paper in the town was edited at the time by Benito Mussolini, later the Fascist dictator of Italy. Nenni was imprisoned in 1911 for his participation in the protest movement against the Italo-Turkish War in Libya with Mussolini. When the First World War broke out, he advocated the intervention of Italy in the war. In 1915, he volunteered for the Isonzo front. After he was wounded and sent home, he became an editor of the republican paper Mattine d'Italia. He defended Italy's participation in the war but tried not to alienate his socialist friends. In the last years of the war Nenni served at the front again. When the war was over, he founded, together with some disillusioned revolutionary ex-servicemen, a group called "Fascio", which was soon dissolved and replaced by a real Fascist body. While the socialist Mussolini became a fascist, the republican Nenni joined the Socialist Party in 1921 after its split with the wing that would form the Italian Communist Party (PCI). In 1923, after the Fascist March on Rome, he became the editor of PSI's official organ, Avanti!, and engaged in antifascist activism. In 1925 he was arrested for publishing a booklet on the fascist murder of Socialist leader Giacomo Matteotti. When the Avanti offices were set aflame and the paper prohibited in 1926, he took refuge in France, where he became secretary of the PSI. In Paris, where he had worked as correspondent of the Avanti in 1921, he became acquainted with Léon Blum (socialist Prime Minister of France from 1936 to 1937), Marcel Cachin, Romain Rolland and Georges Sorel. Nenni went on to fight with the International Brigades in the Spanish Civil War. He was the cofounder and the political commissar of the Garibaldi Brigade. After the defeat of the Spanish Republic and the victory of General Francisco Franco he returned to France. In 1943, he was arrested by the Germans in Vichy France and then imprisoned in Italy on the island of Ponza. After being liberated in August 1943, he returned to Rome to lead the Italian Socialist Party, which had been reunified as the Italian Socialist Party of Proletarian Unity. After the surrender of Italy with the Allied armed forces on September 8, 1943, he was one of the political officials of the National Liberation Committee, the underground political entity of Italian Partisans during the German occupation. In 1944, he became the national secretary of the PSI again, favouring close ties between his party and the PCI. After the Liberation, he took up government responsibilities, becoming Deputy Prime Minister and Minister for the Constituent Assembly in the government of Ferruccio Parri and the first government of Alcide De Gasperi. He was Minister for the Constitution, and in October 1946 he became Minister for Foreign Affairs in the second De Gasperi government. The close ties between the PSI and the PCI caused the Giuseppe Saragat-led anticommunist wing of the PSI to leave and form the Italian Socialist Workers' Party in 1947 (later merged into the Italian Democratic Socialist Party, PSDI). In 1956, Nenni broke with the PCI after Soviet Union's invasion of Hungary. He returned the Stalin Prize money ($25,000). Subsequently, he slowly led his party into supporting membership of the North Atlantic Treaty Organization (NATO) and closer European integration, and he sought co-operation with the leading party, the Christian Democrats. In the early 1960s he facilitated an "opening to the centre-left" enabling coalition governments between the PSI and the Christian Democrats and leading the socialists back into office for the first time since 1947. He formed a centre-left coalition with Saragat, Aldo Moro and Ugo La Malfa, and favored a reunion with the PSDI. From 1963 to 1968 he was Deputy Prime Minister in the three successive governments led by Moro and in December 1968 he became Minister for Foreign Affairs in the first government of Mariano Rumor, but resigned in July 1969, when the centre-left alliance collapsed. 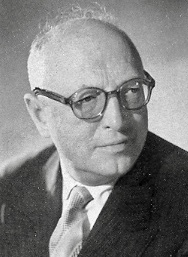 Although the reunification attempts between the socialists and Giuseppe Saragat's breakaway Social Democrats resulted in the formation of a joint list Unified PSI–PSDI, both parties fared poorly in the 1968 Italian general election. In 1969, a disillusioned Nenni virtually retired and Francesco De Martino took his place. He resigned as head of the PSI and was made a senator for life in 1970 and in 1971 he ran unsuccessfully for President of Italy. He died in Rome on January 1, 1980. A daughter, Vittoria "Viva" Daubeuf, died in Auschwitz. She is memorialized in the writings of Charlotte Delbo. ^ Giuseppe Tamburrano, Pietro Nenni: una vita per la democrazia e per il socialismo, Laicata, 2000, p. 366. Wikimedia Commons has media related to Pietro Nenni. This page was last edited on 24 April 2019, at 15:52 (UTC).